We have been coming here for years. Mary and I were looking back at photos from 2011 when we first visited. She used to dorm just up the road when at University. This location just off the City Square is the 1st, and best in my reckoning, Payag restaurant. Now a bit of a chain, but this is absolutely the best. We have had friends from the UK visit here with us, and too many family meals to mention. 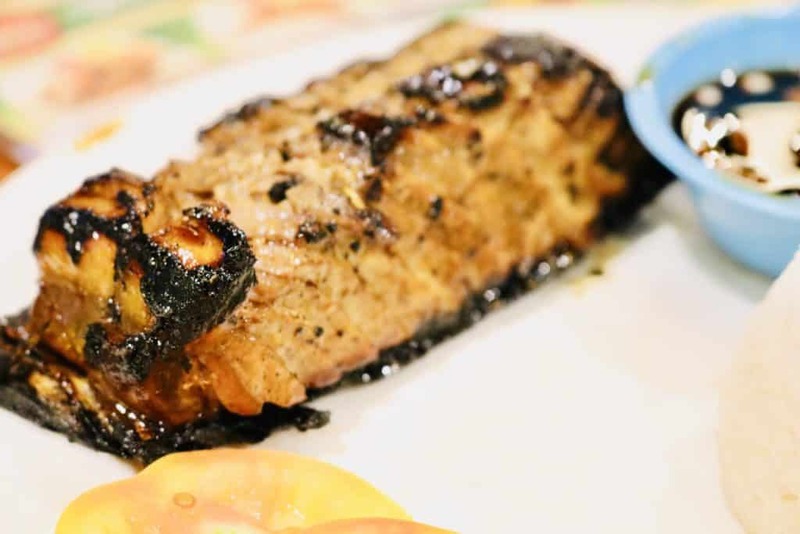 Here is One of our all-time favourites, Payag @ Tagbilaran. We got there so so flipping early the kids were allowed to play with their newly purchased remote controlled cars. Yes, we took over the restaurant. Come on you must have seen us so so many times in previous blogs sat at this very table about to munch down on their amazing food. It almost feels like we have this table auto-reserved for us as soon as we walk in. 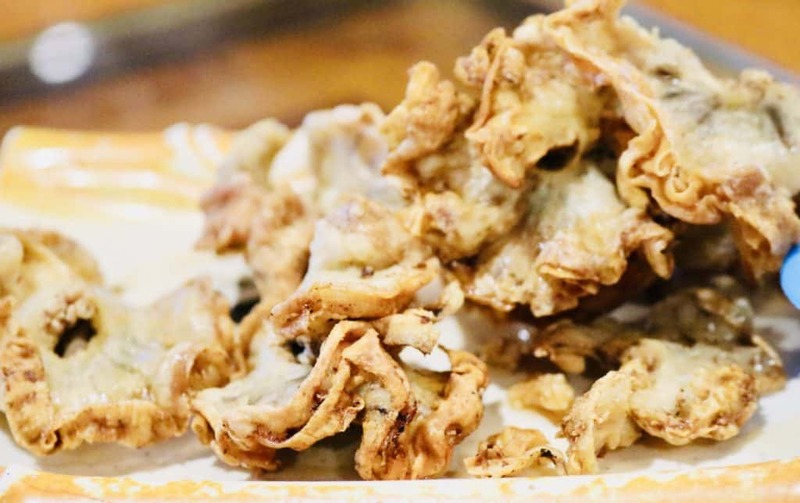 Next up at a popular request of both Jude and Amy is Chicharon Bulaklak. Looks kind if interesting right? I wonder what it is? Almost looks like little crispy flowers. No, it surely is not that. 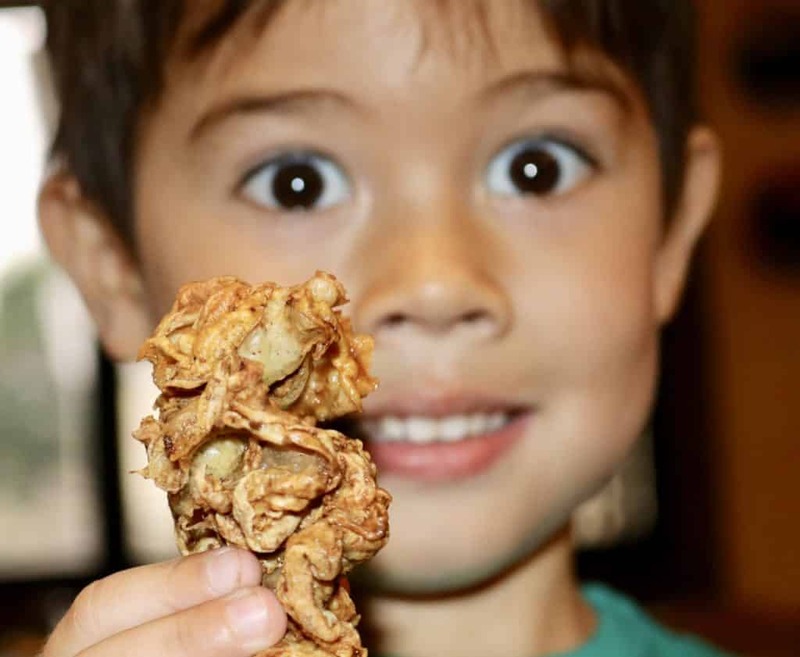 It’s deep-fried pigs intestine folks, and my kids LOVE it. You see what I mean. Just check out that face. Dear me. They seriously love this stuff. But Amy and he won’t eat mushrooms. Interesting!!! 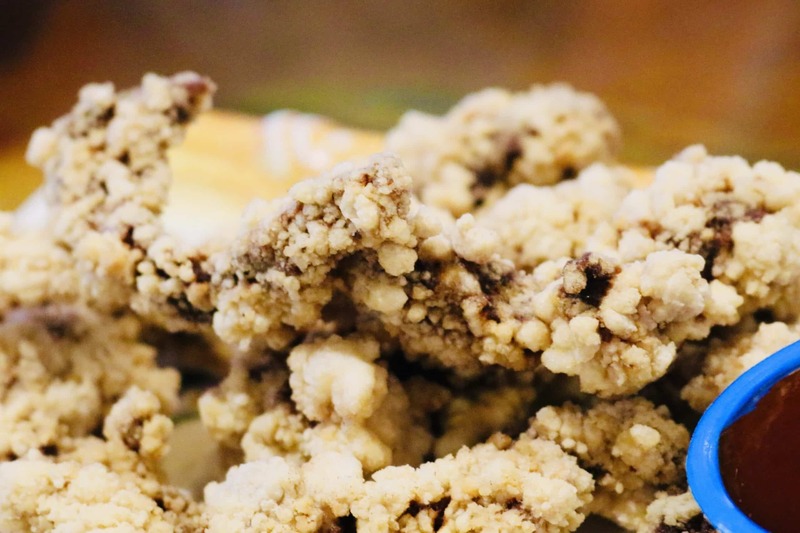 I get stuck into one of the very best chicken liver dishes ever. This is bonkers good. Love this. Sticky, unctuous sauce all over it. Just knock out. AKA chicken liver BBQ on the menu. Major under-play. Have a look at that spread. Hell yes. And this is for diddly squat money my friends, but for simple no-frills amazing grub. It is just quality abound. The foreground is my chicken Inato. 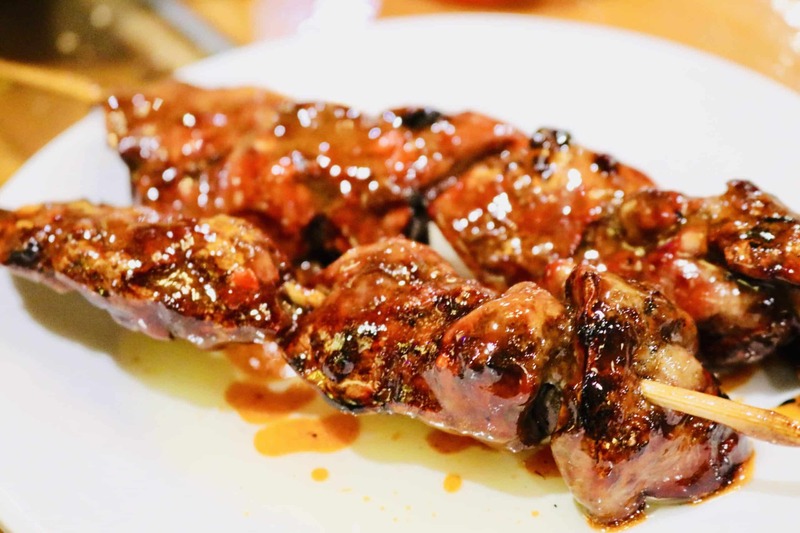 Best BBQ chicken on a skewer ever and all served with ‘native sauce’ = soy, vinegar, chillis, Calamansi. Bring that bad boy on!!! My wifey gets straight into the tuna BBQ. Have a look at that slab of super fresh tuna steak, chargrilled to perfection. She loved this, so Payag, please keep this one going guys. It came with high regards from my Mary. There it is travellers. If you happen to be in Bohol this is one of the must-eat-at restaurants. It’s almost a tradition. It’s quirky for sure with the deco, but no-frills fantastic food is why you should frequent. It is just bloody brilliant, and we keep going back again and again and again. 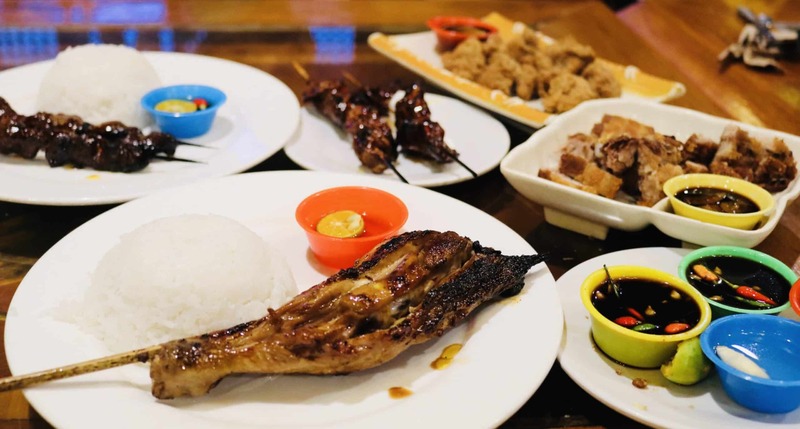 One of our all-time favourites, Payag @ Tagbilaran is a cracker. Give it a go. I promise you will not be disappointed and you will – ENJOY!!! No Replies to "One of our favourites of all time, Payag @ Tagbilaran City"